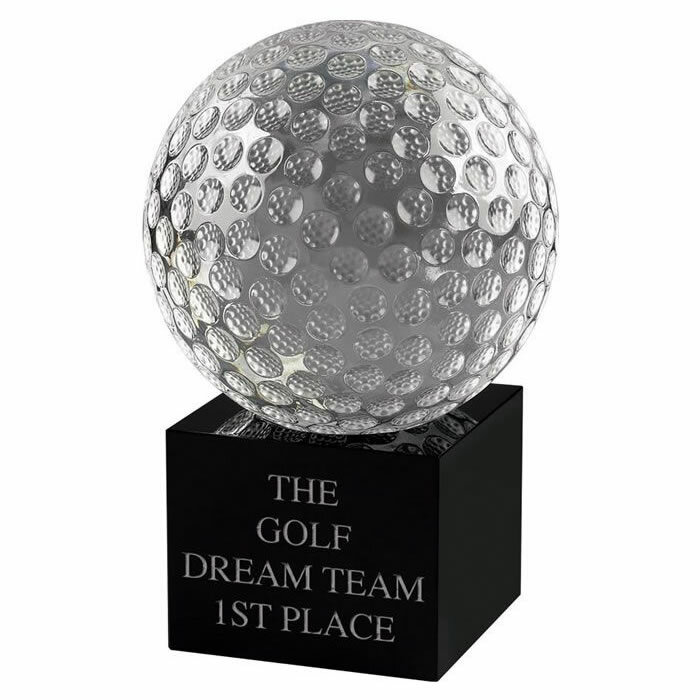 These popular golf awards feature a finely detailed optical crystal golf ball set on a square black crystal block base. 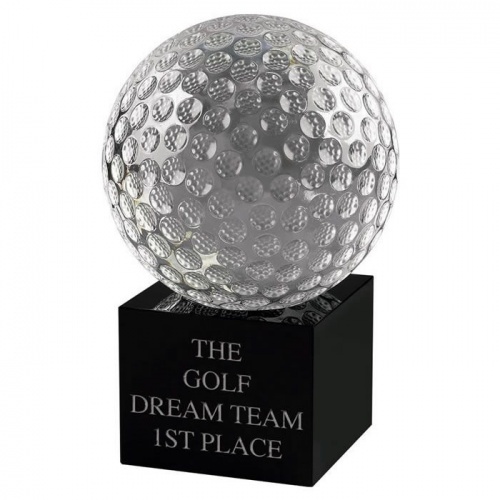 They can be engraved on the base and are supplied presentation boxed. Size: 5.25in.